According to the U.S. Small Business Administration, more than half of Americans either own or work for a small business. Furthermore, the small business sector in America occupies 30-50 percent of all commercial building space, which is estimated to be 20-34 billion square feet. This is a staggering amount of space – and who best to help small businesses secure this space than a member of the Electronic Security Association (ESA). 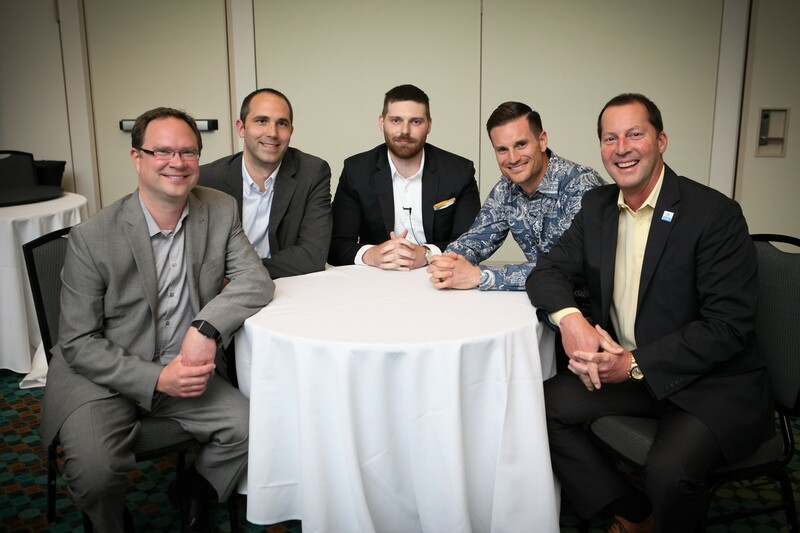 To help small businesses and small business owners make an informed, smart decision when selecting a security provider, ESA brought together four members from around the country in a roundtable format to provide their insight and expertise. As well as having this sort of professional knowledge from industry experts, it is beneficial for you to look into potential ways that you can personally make your business a success. Everyone has to start somewhere. The main focus of your business should be the potential clients and future customers. So why not find ways where you can help to grow this faster. A website may be a good way to start out, especially a site with a web hosting platform like HostiServer. You can’t have one without the other. They both go hand in hand. If you do your research, you’ll find there are many other avenues you can explore when it comes to growing your business. Once your company starts growing, aspects such as security and protection are things you’ll need to consider, especially if you will be working from an office or any other form of environment. It is important that small business are open to change in the ever-evolving landscape of the business world. Embracing human-centered design is an example of this and could help drastically improve the user experience. Before purchasing a security system for your business, take a look at the advice these experts have to offer. What security technologies or other features should small businesses consider when planning for their security needs? What we see at Select Security is a big increase in inquiries about video surveillance systems – but the smart phone is the mechanism that is the centerpiece of it all. You can have everything you need to manage the security of your business on your smart phone. You can look at archived video, view live video, adjust your thermostat, arm and disarm your system, see when your system was turned on or off, and now you can use the actual smart phone itself as the credential to open the door. The convenience factor of this integrated technology is a definite benefit. A business owner should consider three primary components: intrusion detection; video surveillance; and access control. The pricing is coming to a point where the overall budget for the scope of security isn’t outrageous. The intrusion system is extremely important. You want that barrier protection when you’re not there. Video surveillance is continuing to come down in price, so you can get a great professional system installed for a reasonable price. The component a lot of businesses don’t really pay attention to, but should, is access control. There is no longer a need to re-key locks when there is employee turnover. You can simply delete that employee from the access system and add a new one. This is more economical and efficient. I also think Roger touched on an important point – and that is the ability to have information pushed to you via your smart phone app. You can always go to the app to see what is happening. But what is really great is when something out of the ordinary happens, such as someone trying to access your business using an expired key card, a picture of that person can immediately show up on your phone. If this happens, you can take the appropriate action without having to be on the premises. This is super powerful. There’s more technology in a cell phone today than what put us on the moon. You can literally control your entire security system right there in the palm of your hand. Thinking as a small business owner and not a security guy, when we were starting our business, I wanted easy. I wanted to be able to have information sent to me on my cell phone so I could keep an eye on our business and stay in touch when I was out of the office. I wanted to be able to access an audit trail of when the office opened and closed throughout that week. Small businesses need security technology that is easy to use and easy to access. A security system should serve you so you can run your business. Video technology is hot, access control is hot – as is the traditional burglar alarm. But if you think about the convergence of technology – video, access control, burglar alarms – all of this provides information. What is important is selecting the security technology that is going to give you the information you need and the convenience to access it. More information – and the right information – really allows small businesses and small business owners to better manage operations and to better manage the safety and security of the people in their business. What is the most important question a small business owner should ask himself or herself before purchasing or upgrading a security system? You should think through what you need, how much money you want to spend and your expectations for that amount of money. You should really drill down on how you are going to be using the system every day. Make sure the system you purchase will meet your expectations. A perfect example in this situation is when a business owner says, “I want to see the license plate on the cars that drive by my business.” That’s great – NCIS makes this look really easy on television, but in the real-world it is a costly endeavor. The question a business owner should be asking is what do I really need to see – do I need to see the color of the car, where that car is going or the activity of the people in that car? By establishing your expectations, you can ensure the security solution you select is the one that meets your needs for the price you want to pay. It is important to stick to a pay bracket that is suitable for the small business in question. In the same way you wouldn’t want to overpay for your businesses bills, consequentially you would use a business energy comparison site. You should also compare security systems. At the end of the day, your security system is giving you information – so what information do you really want the security system to give you and why do you need that information?The “why” is really important. A lot of business owners will say I want cameras because cameras are a good idea. But why do you want cameras? Do you want them to watch your customers? Do you want them to watch your employees to make sure they are not on Facebook all day? What is it that you are trying to accomplish with the cameras? Security providers have the ability to design exactly what you need to ensure it delivers the information you want and meets your expectations. But, we need to know what you want to accomplish and at what price. We can design a system for $50,000 and capture “NCIS” or we can design a $5,000 system and probably meet 90 percent of your expectations. Ask your salesperson these questions. Chances are that salesperson has sold to someone like you. A good sales person has been in the field and has the experience and expertise to know what has worked for businesses like yours and what hasn’t. This type of information can help you make an informed decision. What is one piece of security advice you would like to share with small business owners? That’s probably the easiest question. Focus on finding the right security provider for you and your business. That is going to take some time and conversations with a couple of different providers – but well worth it. Go into the decision-making process with your eyes wide open and select the provider that knows your business, can act as your advocate and point out security needs you may not have considered or explain why a certain technology you want may not be the best option for you. You are going into a partnership with somebody. Make sure you are comfortable with the person you will be working with and the company you choose. Educate yourself. Shop around. Get two or three quotes from different companies. Then make a decision. It’s a business partnership and a relationship. You want to make sure the provider you select is going to be there for you all day, every day. When you are going through the selection process, make sure that the sales person is listening to you and not telling you. It is truly a relationship you are establishing, choose a provider that will design a solution around your needs. If you are considering purchasing or upgrading your security system, always ask if a company is a member of the Electronic Security Association (ESA) and if its employees are trained by ESA’s National Training School (NTS). ESA member companies whose security professionals are certified through NTS have completed extensive training in electronic security and adhere to a strict Code of Ethics and Standards of Conduct. Members of ESA can be found by visiting Alarm.org.